Interactive psychology of the romance. "Romance" is a free online psychology game to explore and study the psychology of romance with interactive Bidstrup cartoons. Sort the cartoon of the romantic situation in numerical order to reveal the last scene. Fun educational psychology game, suitable for online lessons and interactive classes. Drag and drop the picture in the correct stage of the scene. Arrange the stages in correct sequence. Minute to win it game. Bidstrup tiles game. Boy saves girl from danger. How to play Romance Game. There are eight missing scenes in the middle of the screen. The first 7 scenes from the Bidstrup cartoon are shuffled at the top of the screen. 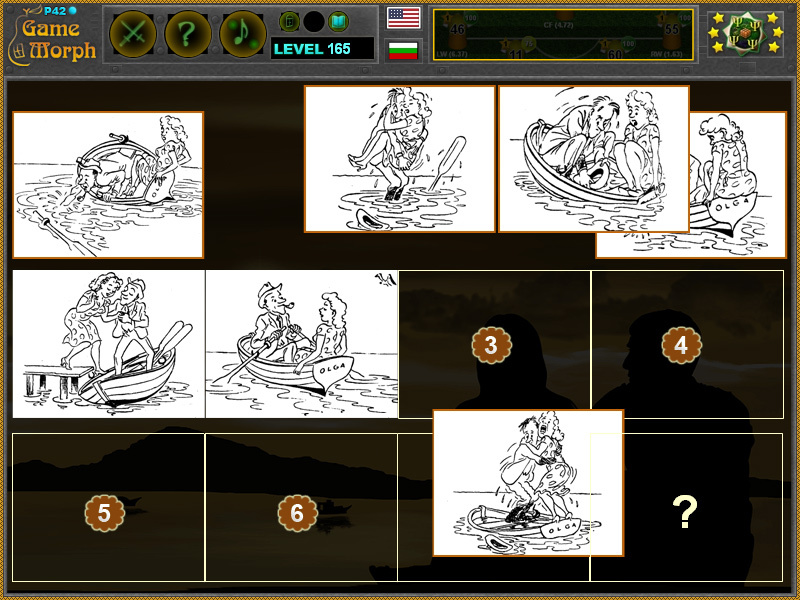 Drag and drop the pictures in the correct stage of the scene. Arrange the stages in correct sequence to reveal the last eight stage to complete the situation. Know the psychology of romance and get +1 Knowledge Level. Class subject: Psychology of Romance. What is a pupular romantic situation? It is some unfortunate event where the boy saves the girl. Bet on that and you have a romantic story.